Math.2.NBT.A.3: Read and write numbers to 1000 using base-ten numerals, number names, and expanded form. Math.2.NBT.A.4: Compare two three-digit numbers based on meanings of the hundreds, tens, and ones digits, using >, =, and < symbols to record the results of comparisons. 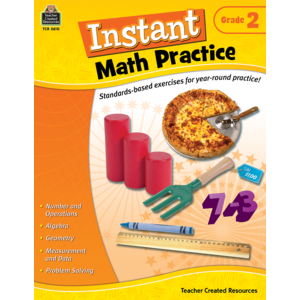 Math.2.MD.A.1: Measure the length of an object by selecting and using appropriate tools such as rulers, yardsticks, meter sticks, and measuring tapes. Math.2.MD.A.4: Measure to determine how much longer one object is than another, expressing the length difference in terms of a standard length unit. Math.2.MD.A.2: Measure the length of an object twice, using length units of different lengths for the two measurements; describe how the two measurements relate to the size of the unit chosen. Math.2.MD.A.3: Estimate lengths using units of inches, feet, centimeters, and meters. Math.2.MD.B.6: Represent whole numbers as lengths from 0 on a number line diagram with equally spaced points corresponding to the numbers 0, 1, 2, ..., and represent whole-number sums and differences within 100 on a number line diagram. Math.2.MD.B.5: Use addition and subtraction within 100 to solve word problems involving lengths that are given in the same units, e.g., by using drawings (such as drawings of rulers) and equations with a symbol for the unknown number to represent the problem. Math.2.MD.D.10: Draw a picture graph and a bar graph (with single-unit scale) to represent a data set with up to four categories. Solve simple put-together, take-apart, and compare problems using information presented in a bar graph.